We love when folks give us new ideas, and this is the most recent. 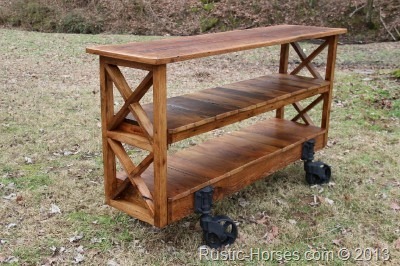 It is a kitchen island with iron factory cart wheels. Made completely from antique barn wood. It will look great in the kitchen but also in any room, used in different ways. How would you use this table? This is an absolute beauty! Such a unique piece that has so much character! Love it!